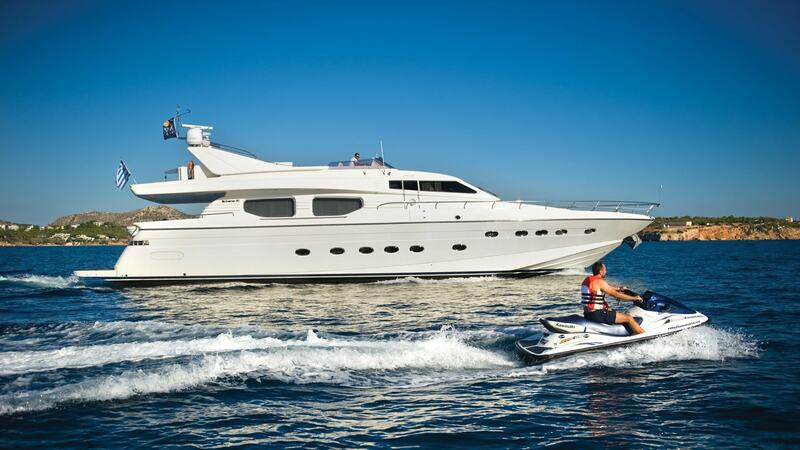 The Posilippo 80 motor yacht, Dilias, built in 2006 and recently refitted, is ideal for charters around the Greek Islands. A contemporary yacht for both family and couple charters with an elegant interior and a lovely crew of four providing continuous service, Dilias will offer an unforgettable cruising experience to her guests. Her serene atmosphere and professional crew with attention to detail makes her the ideal yacht to explore the Greek waters in comfort and style. Dilias features a classy and elegant interior. She offers accommodation on the lower deck for up to ten guests in four well appointed staterooms with one master cabin, a VIP cabin and two guest cabins with extra pullman beds, all with ensuite facilities. With a cruising speed of 24 knots and a maximum speed of 30 knots she has an excellent cruising performance. A contemporary yacht for both family and couples charters with an elegant interior and a lovely crew of four providing continuous service, Dilias will offer an unforgettable cruising experience to her guests.